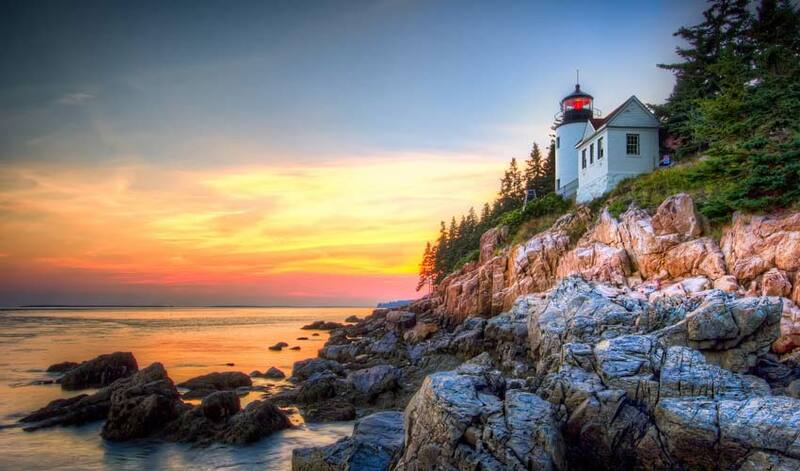 Plan a vacation to Acadia National Park and Bar Harbor Maine. Acadia National Park includes 33,000 acres of woodland, mountains, lakes, and shorefront surrounding Bar Harbor. 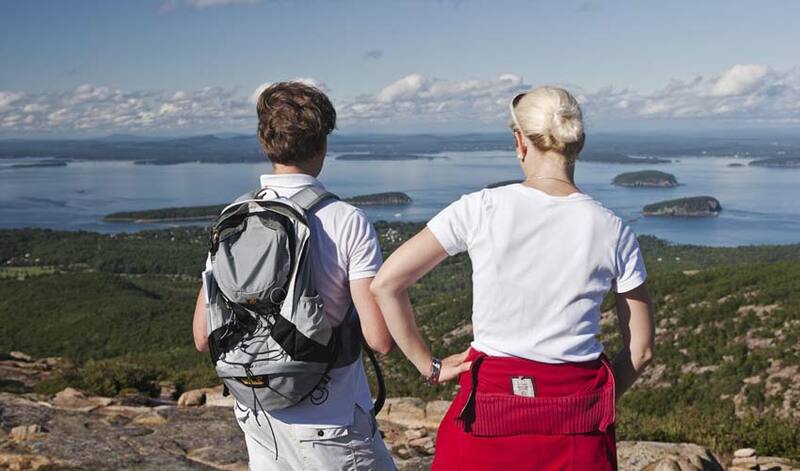 More than 60 trails and mountains as high as 1500 feet offer activities ranging from gentle to strenuous. 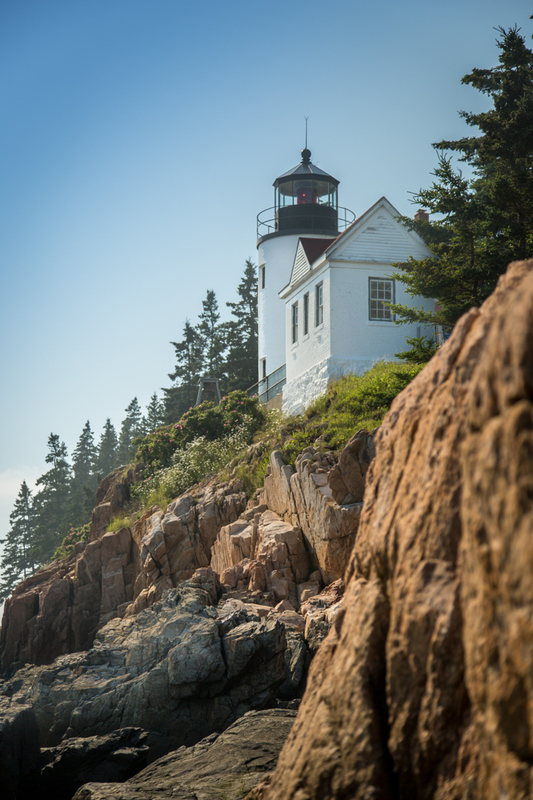 We have listed below just a few activities that await you in Acadia National Park. 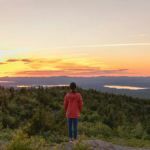 The North Ridge trail on Champlain Mt. 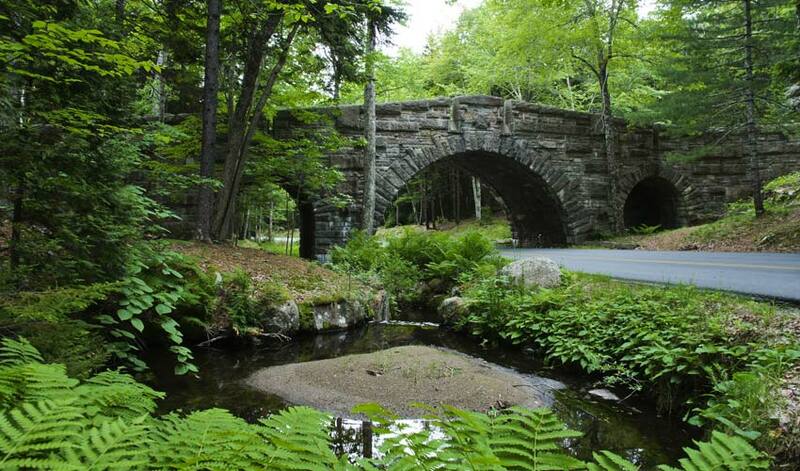 (formerly called Bear Brook Trail). There’s a vernal pool of water in the rocks that looks as though it was designed by a Japanese master gardener. 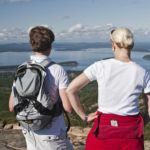 We like going up the Beechcroft Trail on Huguenot Head and then up Champlain and back down by the North Ridge trail. 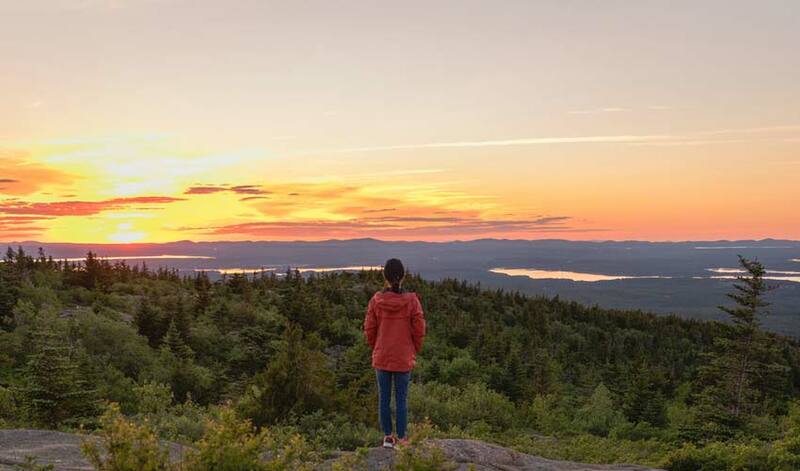 Another favorite Acadia National Park Trail: take the Bald Peak trail just above Hadlock Pond on Rte. 198 and quickly turn left on to Parkman Mountain Trail. 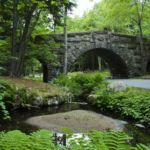 There’s a lot of choices here, go to the waterfall bridge on the way (if it’s been raining) and at the top of Parkman, a right turn will take you to the Sargent Mountain Complex, or a left turn will take you down to the carriage road and back to your car. 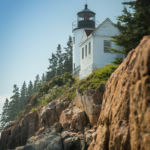 Be sure to also visit our Blog to read more about visiting Acadia National Park.